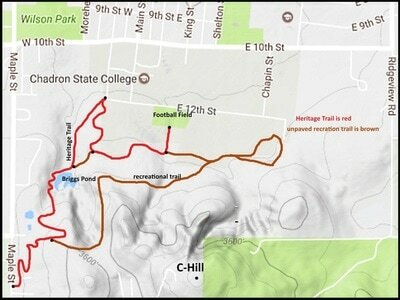 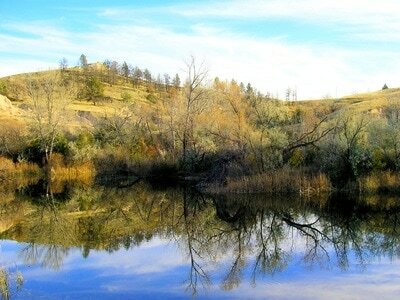 Located on the southern edge of Chadron State College, C-Hill is an easy, but fun climb. 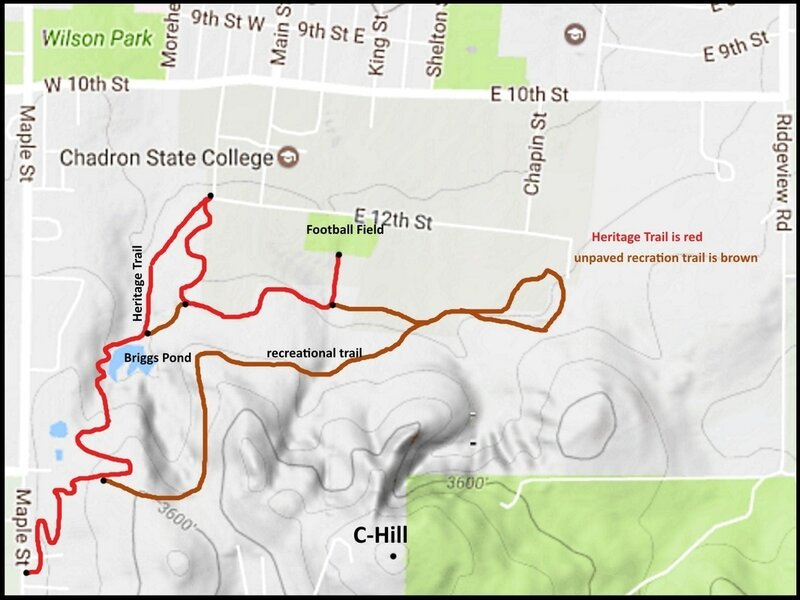 Besides the paved 1.1 mile Heritage Trail that winds around the base of C-Hill to Briggs Pond and Maple Street, there are an assortment of dirt trails all over C-Hill. 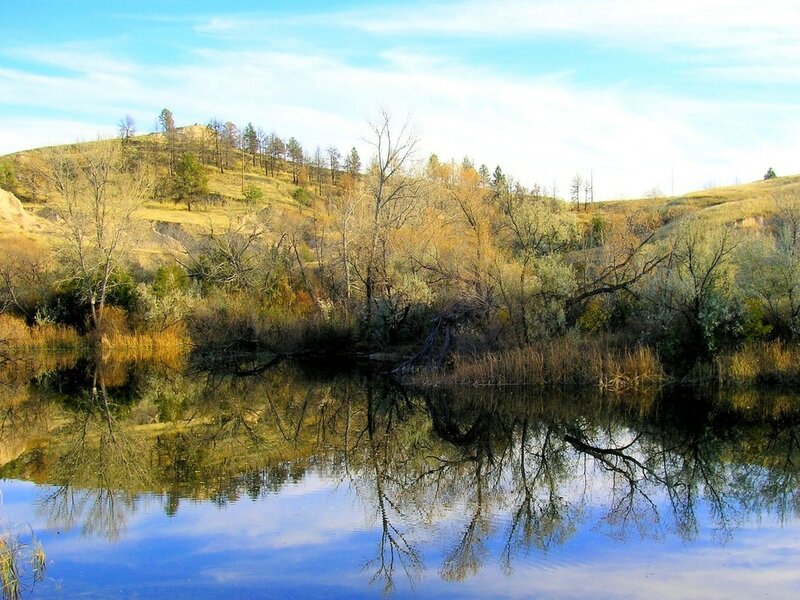 The local Chadron Wellness Group promotes the area for fitness recreation. 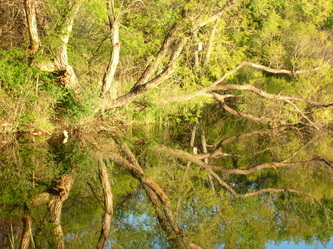 Consequently, hikers will also share trails with runners, and sometimes even equestrians. 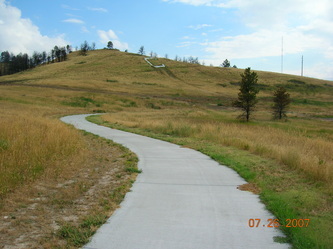 The western part of the hill has a large white "C" built into the hill, with a small trail from the Heritage Trail going up to the inlaid stones. The actual summit is a rocky uplift on the southeastern part of the hill. 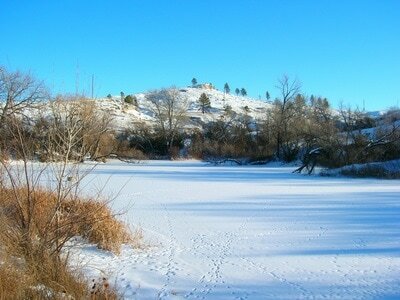 At 400 feet higher than the downtown area of Chadron, the view there affords a great vista of the whole area. 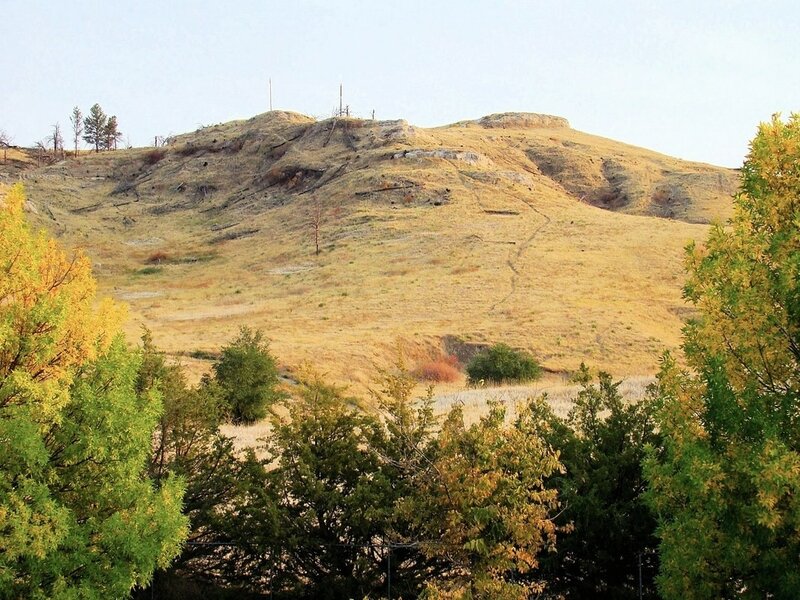 Named summits visible from there would include Aristocrat Peak, Flannigan Butte, Rattlesnake Butte, Crow Butte, and Roundtop Peak. On clear days, the Black Hills can be seen to the north-northwest. 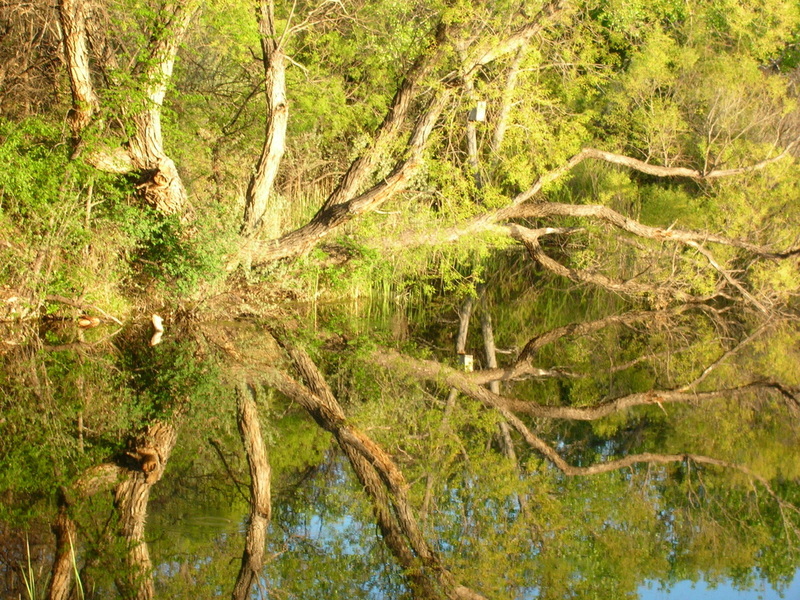 There is a geodetic marker on the lower western part of the hill, near the "C" marker.